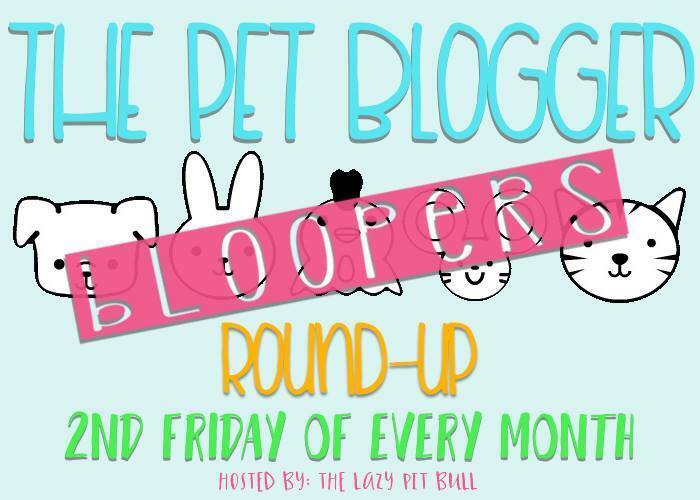 We're so excited to be joining the inaugural edition of The Pet Blogger Bloopers Round-Up, hosted by The Lazy Pit Bull. 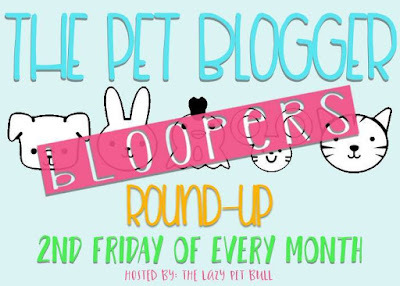 It's the place to be on the second Friday of each month to see your favorite bloggers' blooper photos. This is a blog hop dedicated to showcasing the results of those photo sessions that have gone off the rails! For this first month we thought it appropriate to go back to the beginning...the day Mudpie was adopted. Mudpie was so excited about going home with you she could barely contain her joy!!! Maybe Mudpie was playing hard to get! I love bloopers! 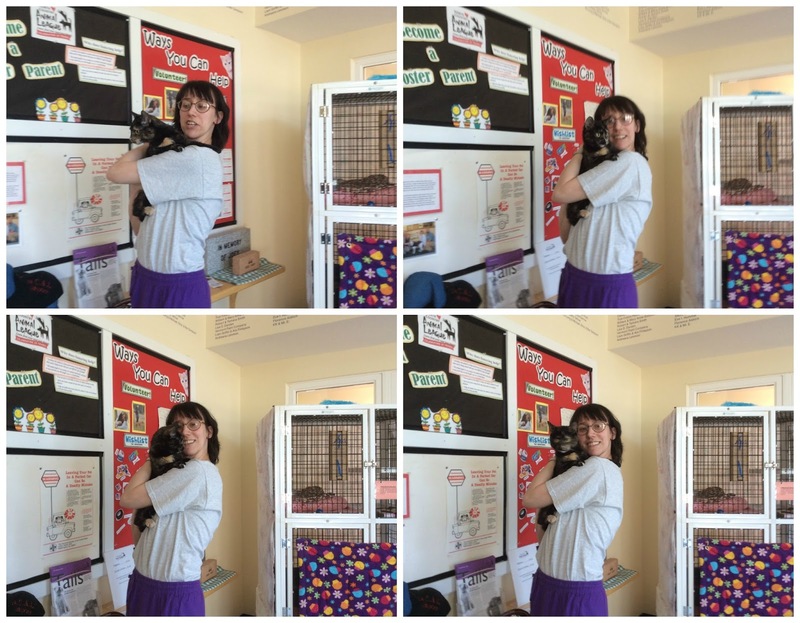 They're especially purrfect when they show a kitty about to embark on her new life in her new happy furever home. Purrs, Mudpie and Melissa! She was excited! And who could blame her?? Haha... looks similar to some photos I tried to take with Callie recently. Haha! That looks like every single picture I try to take with Sherman and Leroy! Thanks for your kind words on my post today. I was terrified to start a new feature! Thanks for sharing, and for linking up with us! well... me thinks Mudpie found a good human tower to help her looks around - so dats good photos den. who likes shoulder fur looking round on. Mudpie will be Mudpie. I just hope for wasn’t looking for an escape route. Mudpie, you were just ready to go home with your new mom weren't you? Posing for photos was standing in the way of you and your furever home! Those are the purrfect first bloopers.